One of my biggest problems in my current apartment is space. I don’t have any. My boyfriend and I moved into this one bedroom, small apartment and we still have 6 months before we can move into something more appropriate (read: a spare room I can escape to for yoga, blogging, talking to myself without judgment, and general escapism). You stack them horizontally instead of vertically. 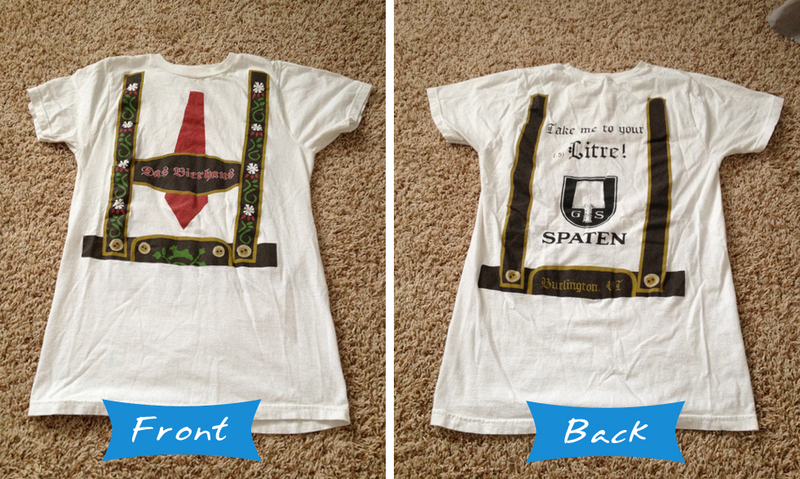 I’m going to use my Das Bierhaus shirt as an example of how to do this (free promo – you’re welcome, Nick). This shirt has a design on the front and the back, as you can see below. I’ve decided I want the front to be the “face up” part. 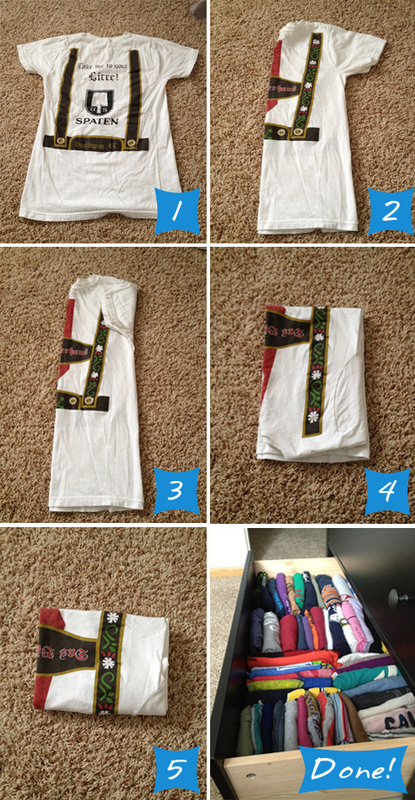 1) Lay the shirt flat with the print side facing down (or whichever side you want to be what you can see). For me, the front of the shirt is face down. 2) Fold the shirt in half length-wise. You can go left-to-right or right-to-left, it doesn’t matter. I went left-to-right. 3) Fold in the sleeves. If you have a long sleeve shirt, just fold the sleeves in twice. 4) Fold the shirt in half width-wise, toward you. The sleeves will now be inside your fold. >> Just fold it over again, toward you. >> Or pick it up in the middle width-wise, letting it fold itself in half and then lay it back down. This is the method I used for this shirt as more of the design shows this way, and you can look at the text on the shirt to get a better idea of what I mean. 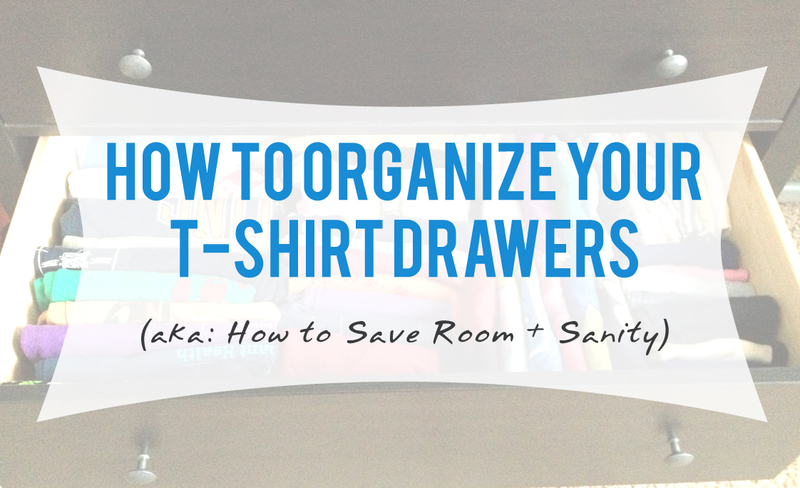 Now you can stack all of your shirts in rows in the drawers with the fold at the top so you can see what you have to work with. Good luck!